In September 2015, the recently inaugurated the Humanities Institute / LuEsther T. Mertz Library at the New York Botanical Garden will host a celebration in the Mertz Library of this important recent publication. 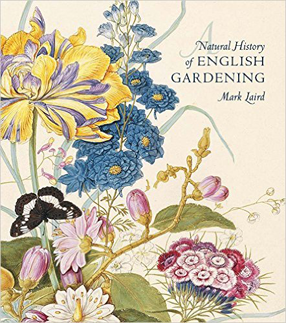 The author gave a short talk about the book, which was published by the New York Botanical Garden in association with the Yale Center for British Art. Following a public discussion, there was a reception and book signing during which guests were invited to a viewing of the Library’s collection of rare books accompanied by an explanation of their engravings by Vanessa Sellers, director of the Humanities Institute. Mark Laird is a historic landscape consultant and garden conservator and teaches landscape history at the Graduate School of Design, Harvard University. Previous books include The Flowering of the Landscape Garden: English Pleasure Grounds, 1720–1800 and Mrs. Delany and Her Circle (Yale). The Foundation for Landscape Studies is proud that this important contribution to landscape history scholarship was given a 2013 David R. Coffin Publication Grant by its awards committee.